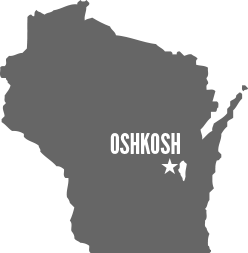 The Chancellor, in consultation with the donors and the UW Oshkosh Foundation Board, shall be responsible for the administration of the University of Wisconsin Oshkosh program of Endowed Professorships. The Provost and Vice Chancellor, in consultation with the Deans, will be responsible for formulating recommendations for the policies and procedures of the program. Faculty members and governance groups shall be asked to provide advice and comments on all aspects of the program. Interdisciplinary or intercollegiate for broad subject areas. An annual stipend of $500 to the recipient's department to promote its mission. Only three letters of support from authorities outside UW Oshkosh, who are in the nominee's field or a related field. Normally, nominations of individuals shall be submitted by departments to Deans. In exceptional circumstances, an individual may wish to submit a self-nomination to a Dean. Deans shall make recommendations to the Provost and Vice Chancellor. The Provost and Vice Chancellor shall, with the help of the university-wide committee appointed by the Provost and Vice Chancellor in consultation with the President of the Faculty Senate, make recommendations to the Chancellor. The Chancellor shall make the final decisions.